The Warjakka artist residency is organised in partnership with the Ervasti village association based in Varjakka, Oulunsalo. The aim of the residency is to develop artistic activity in Varjakka, support artists’ work and develop dialogue between artists and local people. The residency is also part of our wider plan to develop the area in conjunction with Oulu City’s application for the European Capital of Culture 2026. The Warjakka artist residency was piloted in 2017. Canadian visual artist Luke Fair was the first artist to participate. He collected natural materials from the Varjakka area and processed them into paint and ink which he used in his own artistic work as well as in the workshop for the local community. This year the residency takes place between 23rd and 27th July and it invites a group called Keho (‘Body’) – which consists of artists who work within dance, movement and other forms of physical expression – to take part. Keho group was founded in 2017 and its aim is to connect freelance dance practitioners, explore joint points of interests, share practice and foster new networks between the artists. Keho artists are female from different age groups. They have different backgrounds and they come from different parts of Finland, although the main focus is on those working in the Northern part of the country. During the Warjakka artist residency 2018, Keho group will explore Varjakka’s environment and its history through physical expression and create short site-responsive performances as part of an evening picnic meal event arranged by the local village association on 26th July. Oulu City supports this year’s residency. Katri Aaltio is an Oulu-based multiskilled artist. Aaltio directs a creative dance collective called Haarahyppy – Tanssia taidotta. Aaltio wants to inspire everyone to dance from clumsy to flexible, overweight to thin people, young and old people, as well as men and women. Katariina lives and works in Muonio, Finland and Muodoslompolo, Sweden since 2011. She holds a Masters in critical media education and has taught and performed for three decades in various locations across the world. In her performance she studies improvisation, authentic movement and embodiment as a method of meeting and expressing different phenomena, surroundings and relationships to human and non-human units and ecosystems. Her cultural art projects involve and foster relationships across international communities. Eerika is intrested in body and silence. She has resently returned to Oulu. Henna-Maria Hanhineva is originally from Oulu, but recently moved to Turku. 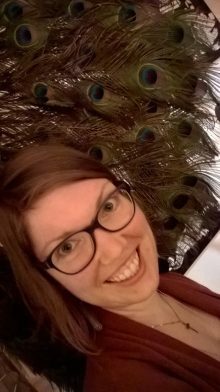 She works in different types of environments from theatre stage to public spaces and care homes. Henna-Maria is inspired by nature and the various dimensions of humanity. Typical for her work is encounters with others, improvisation and multi-sensory experiences. This year Henna-Maria is celebrating her 10th anniversary of artistic work. Satu currently works mainly in Turku. She is interested in presence and its meaning, dialogue, encountering and equal opportunity to access of arts. In what kind of places could art be experienced and what could art offer? Directed improvisation and collaboration are also close to her heart. Saana-Tuulia works mainly in Oulu in dance and yoga. 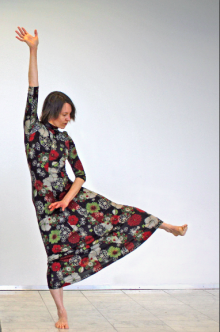 She is interested in participants’ personal movement and the magical empowerment of dance that everyone can experience. Tanja is a dance artist with a long-spanning career. Her artistic practice typically fuses together physical expression and new technology. She is especially interested in creating new ways for people to experience dance, including finding dance in unexpected locations. 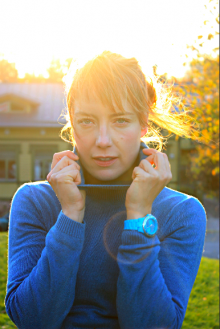 Based in Varjakka, Tanja works locally and internationally. This year she has received a working grant from the Finnish Arts Promotion Centre. 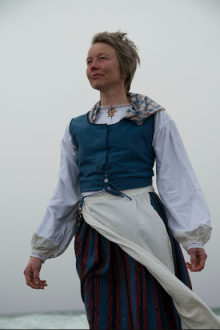 Irene is a long-term maker and shaker in the dance sector in Oulu. She was one of the founder members of JoJo – Oulu Dance Centre and Tanssikomppania. She has organised dance events and worked for others as a dancer for decades. Collaboration with different people and groups, as well as contemporary dance and improvisation are closed to her heart. 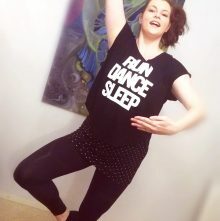 Balance in body-mind connection and overall wellbeing go hand in hand with her dance practice. This is why she also teaches Pilates and Shindo sessions. She works mainly in Haukipudas. Teatterikuoppa acts as the main venue for her student’s work as well as for her own artistic projects. At the moment, Irene is also interested in ballroom, swing, Lindy Hop and solo jazz.